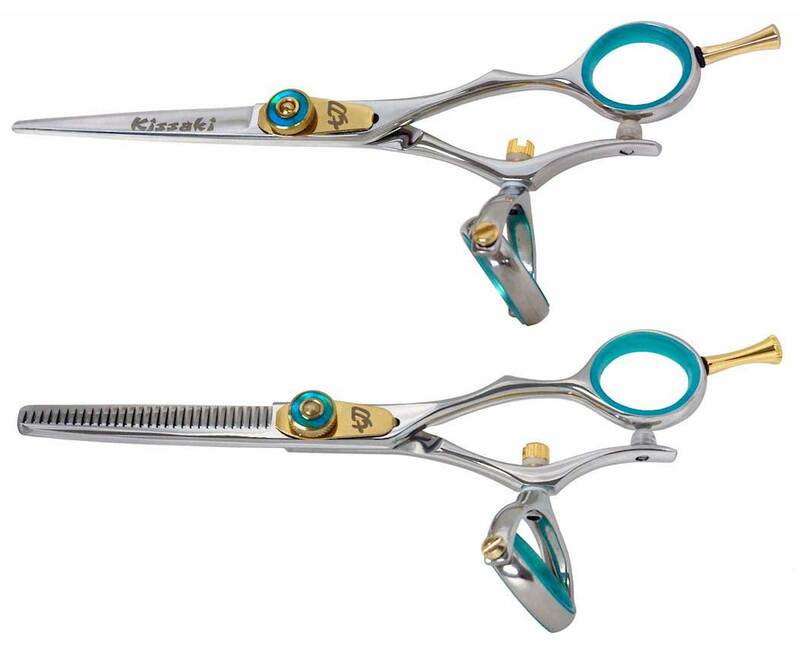 Gokatana 5.5″ B & Kanagawa 30 tooth B Hair Scissors Double Swivel Set. These are our Gokatana 5.5″ Double Swivel Hair Cutting Shears & Kanagawa 5.5″ 30 tooth Double Swivel Thinning Shears in a specially priced matching set. This set has the blue easy click leaf spring tension adjustment knob for the convenience of quick adjusting. 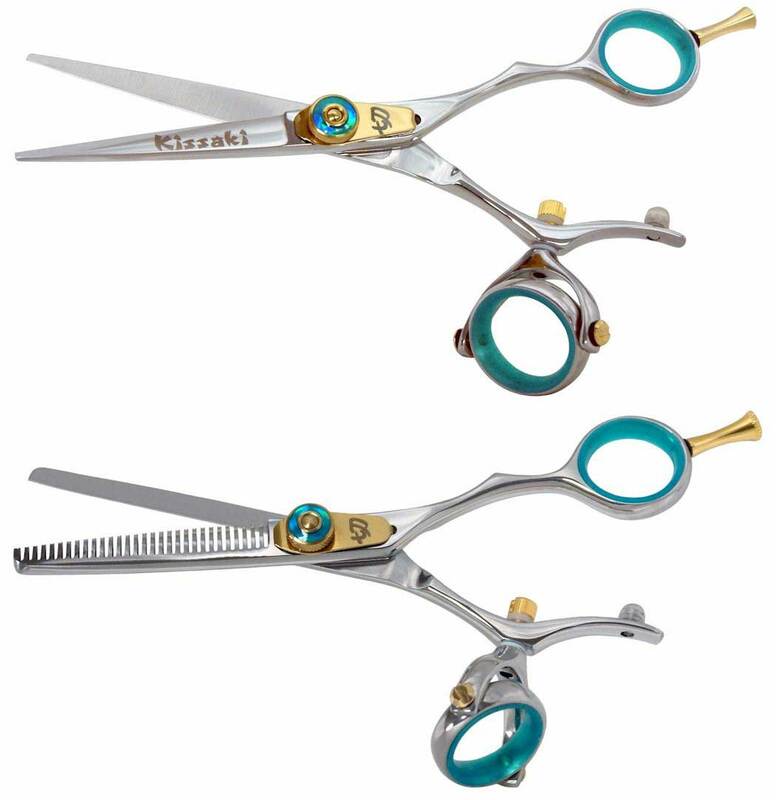 The Gokatana 5.5″ B & Kanagawa 30 tooth B Hair Scissors Double Swivel Set is an ideal matching set of hair shears for professional Hairstylists, Hairdressers and Barbers in high volume hair cutting salons.